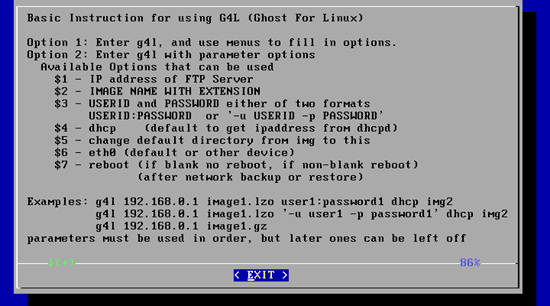 This tutorial shows how you can back up and restore hard drives and partitions with Ghost4Linux. 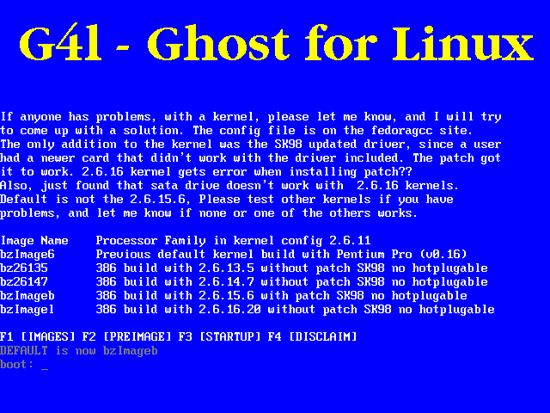 Ghost4Linux is a Linux Live-CD that you insert into your computer; it contains hard disk and partition imaging and cloning tools similar to Norton Ghost. The created images are compressed and transferred to an FTP server instead of cloning locally. You need an FTP user plus his password, and make sure that this user's quota is big enough because the images that are created can be some GB of size, depending on the size and usage of the partitions that you back up. In this tutorial, my systems are in the 192.168.0.0 network, and I have a DHCP server on my router (192.168.0.1). My Ubuntu desktop is assigned the IP address 192.168.0.213 by the DHCP server. My FTP server has the static IP address 192.168.0.100, the FTP username is exampleuser, his password is howtoforge. The DHCP server is optional, all this works with static IP addresses, too. 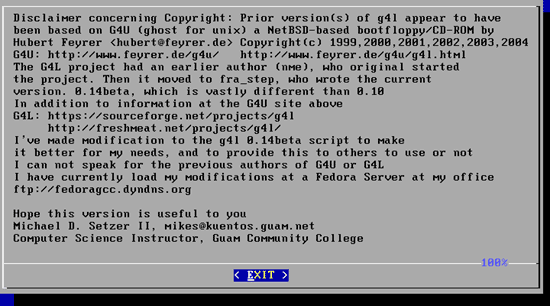 First we must download the Ghost4Linux iso image from http://sourceforge.net/projects/g4l and burn it to a CD. At the time of this writing the current version is 0.21, so we download it from one of these mirrors. 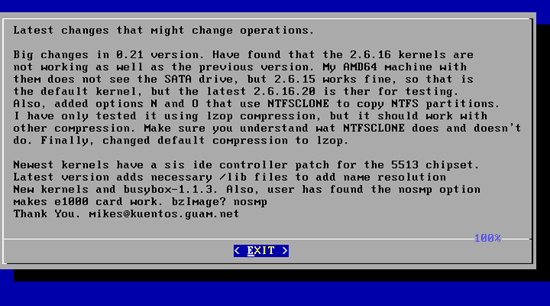 From my oppinion the software looks kinda old and a little hard to use for many people. I suggest you to use another easier to use software like http://www.dmailer.com/dmailer-backup.html to backup / restore the computer or any files you want to backup. Their software is free and also the online backup service is also free up to 3gb of space ( if you need higher pack of storage they have some at good prices ) , also the software is easy to use than most of other softwares that do that.